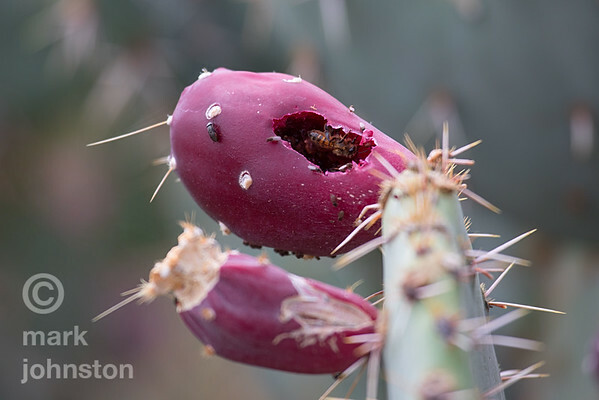 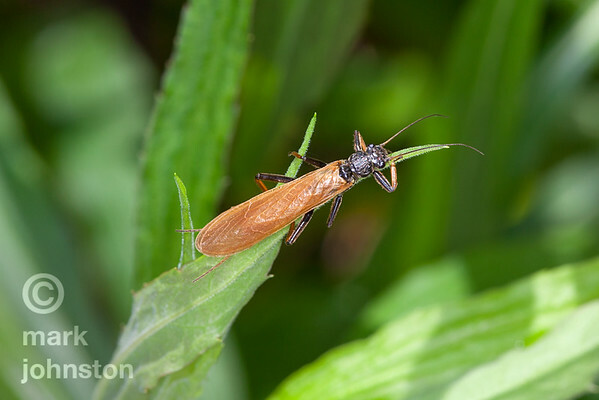 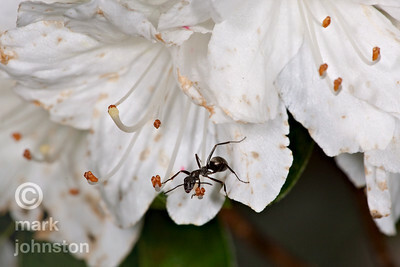 An ant explores an azalea flower, examining each stamen for food. 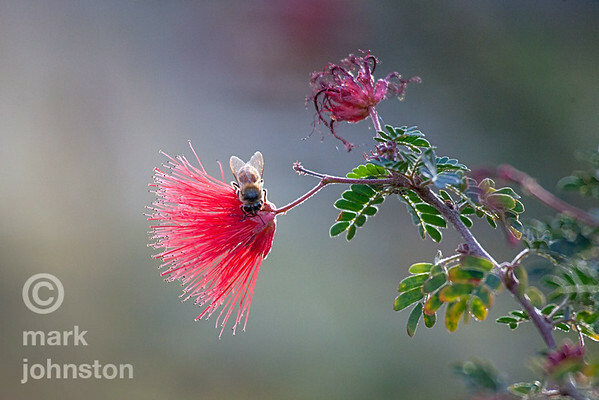 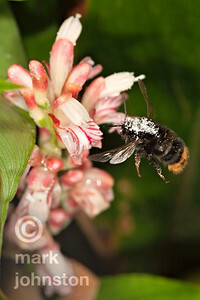 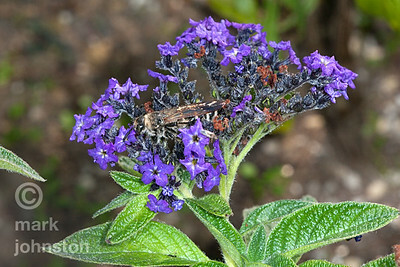 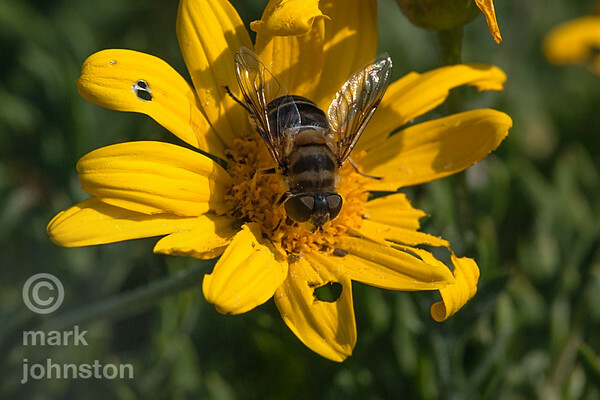 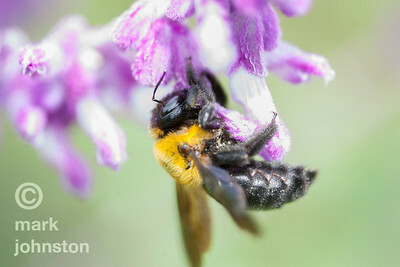 A bumblebee, its head frosted with pollen, hovers before a cluster of flowers. 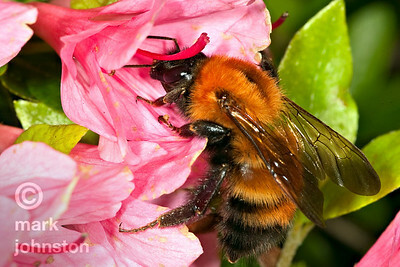 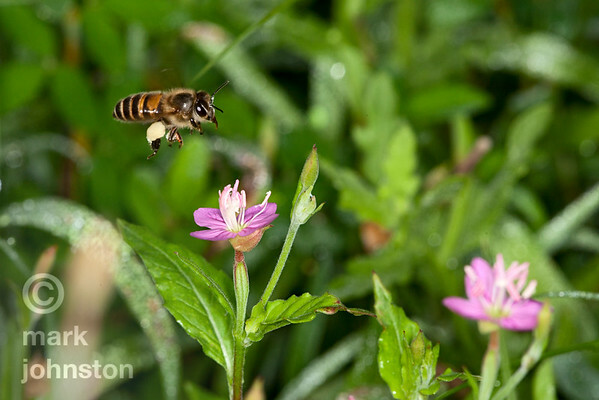 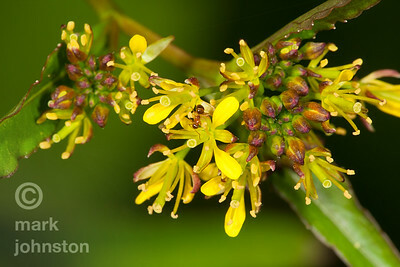 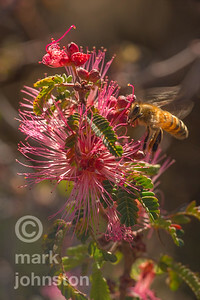 A bumblebee probes newly-opened flower blossoms, collecting nectar. 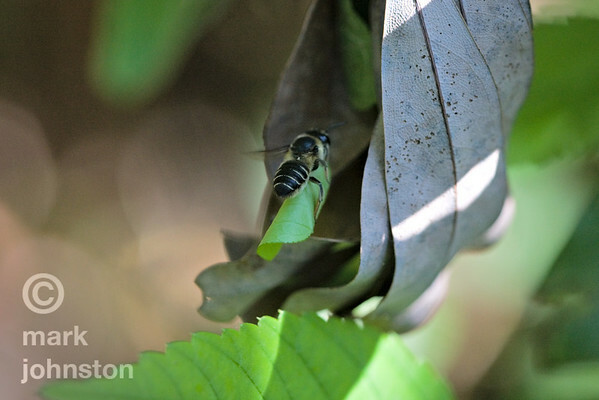 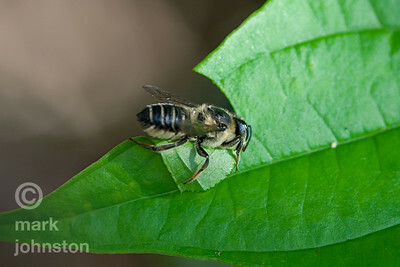 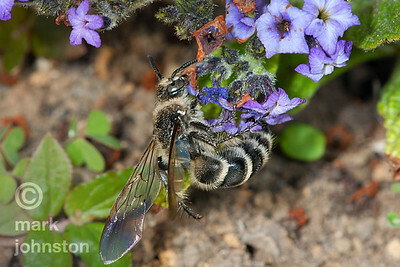 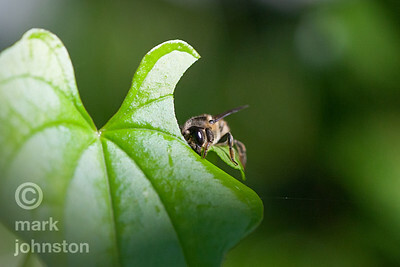 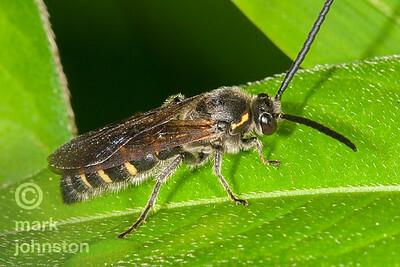 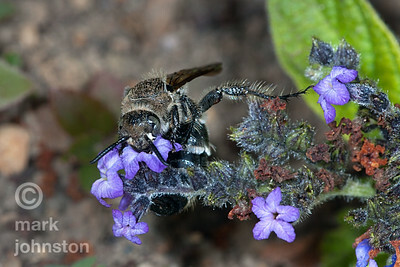 A leaf-cutter bee carries a trimmed-off leaf piece to its nest.